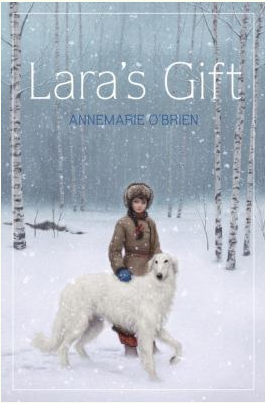 Lara lives in Russia in 1914. She enjoys working with her dad’s special dogs (Borzois) in a Count’s kennel. She starts to have strange visions of danger but no one will listen to her. ﻿How might this story be different if it had happened somewhere else (or in a different time period)? Post your answers to these questions using the Reply form below OR click on "Comment" below the book cover. 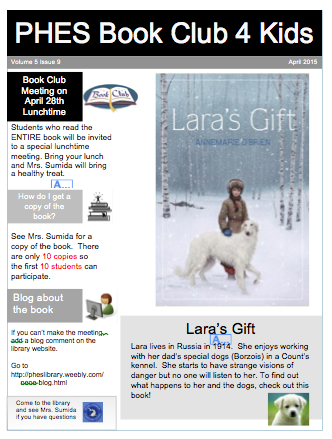 All students who leave a message will be invited to a special luncheon in the library to discuss the book on April 28th. See Mrs. Sumida for a copy of the book.